It is our great pleasure to invite you to take part in the major event 32nd World Pediatrics Conference which is mainly focusing on how To Promote Excellence in Pediatrics Research and Child Health which was scheduled on 04-05 December 2019 in Barcelona, Spain. The main objective of the conference is to bring together pediatricians, neonatologists, experts in child development and other specialists to exchange their ideas and knowledge between the different disciplines for facilitating research and clinical interdisciplinary collaborations. Breast Feeding, Clinical Pediatrics, Neonatology, Pediatric Cardiology, Pediatric Gastroenterology, Pediatric Nursing, Pediatric Psychology, Pediatrics Allergy and Infections, Pediatric Dentistry, Pediatrics Nephrology and Urology, Pediatrics Neurology, Pediatrics Surgery. 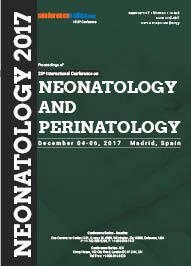 With members from around the world focused on learning about Neonatology, Pediatrics and its advances in making a better health; this is your best opportunity to reach the largest assemblage of participants from the Neonatology and Pediatric community. Conduct presentations, distribute information, meet with current and potential scientists, make a splash with new drug developments, new treatment techniques and receive name recognition at this 3-day event. 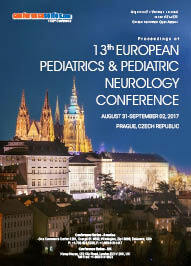 World-renowned speakers, the most recent techniques, developments, and the newest updates in Neonatology and Pediatrics are hallmarks of this conference. The study of pediatrics is diminishing the mortality rates of the new-born’s and the youngsters and furthermore to control the spreading of diseases which are pediatric infectious diseases and which will be advancing the healthy life form infections-free life to draw out the issues of teenagers and kids. This can be seen that the improvement of pediatrics is ended by knowing the different pediatric hereditary issue essential subjects which for the most part required for pediatrics. The vital treatment which bargains in pediatrics is supporting the expansion of pediatric wellbeing in youngsters and babies. Breast Feeding is the major basis for the Healthy supplements for the proper growth and development of the child. It is majorly concerned with the immune system improvement and stability. Pediatrics nutrition is a branch of pediatrics which gives all the required information related to health and wellness maintaining well-balanced diet subsists of the crucial nutrients and the acceptable caloric intake mandatory to build up growth and assist the physiologic concern at the assorted stages of a child's development. During the growing years between infancy and juvelin, acceptable nutrition is of most important. Your child's diet will not only backing their normal growth and evolution, but also backing their immune system, and develops lifelong eating habits. Although dietary needs, and tastes and appetites, will vary abroad throughout childhood, it is important to constantly provide your child with healthy options from all of the major food groups. Gastrointestinal nourishment sensitivities are not uncommon in new-born children and kids. Gastrointestinal (GI) endoscopic system a pediatric endoscopy has turned into a fundamental methodology for assessment and treatment of GI infections. Complex gastrointestinal surgery is one of the normal strategies to treat GI issue in youngsters. The rule sicknesses worried about pediatric gastroenterology are intense the runs, gastritis, persevering retching and issues with the improvement of the gastric tract. Pediatric Gastroenterology in youngsters runs from minor to dangerous, and short-to long haul or endless. Neonatal Jaundice is a standout amongst the most widely recognized conditions requiring medicinal consideration in infants. Neonatal Nursing is a division of health care that mostly centres in giving care and support for new-born babies who were born precipitately, or suffering from health problems such as birth defects, diseases, or heart deformities. Several neonatal nurses work in Neonatal Intensive Care Unit (NICU), giving very particular medicinal care to in danger infants. Paediatric Nursing is a restorative care of neonates and youngsters up to adolescence, as a edict in an in-patient hospital or day-clinic. Neonatal nurses are registered nurses who have some expertise in working with these youthful, vulnerable patients. Bacterial, fungal, viral, or parasitic infections are all categories of infectious diseases that can make your child sick and are reason for concern. Childhood infections are one of the most common reasons children see a healthcare provider. Majority of Pediatric Infectious Diseases are not serious and children recovery quickly, sometimes children do need to see a specialist for recurrent, prolonged or severe infections. Millions of broods worldwide suffer from allergic diseases such as asthma, atopic dermatitis, allergic rhinitis, or food allergy. The diagnosis and treatment of these children require special care to the complexities not only of childhood but also of developmental and disease processes. Allergy refers to certain diseases in which immune responses to environmental pharma particles cause tissue inflammation and organ dysfunction. Hypersensitivity and sensitivity are synonyms for allergy. Pediatric Surgery is a division pediatrics department that involves the surgery of Neonatal, infants, children, adolescents, foetuses and teenagers. Pediatric surgery ascended in the middle of the 20th century as the surgical care of Pediatrics Pediatric surgery is classified into sub categories like pediatric surgical oncology, pediatric cardiothoracic surgery, pediatric neurosurgery, pediatric urological surgery, pediatric hepatological surgery, pediatric orthopaedic surgery, pediatric cardiothoracic surgery, pediatric vascular surgery and pediatric oncological surgery. Major Manufactures, Industry Chain Analysis, gross margin, growth rate and the most effective development within the organization comprised throughout this analysis, additionally to the present. 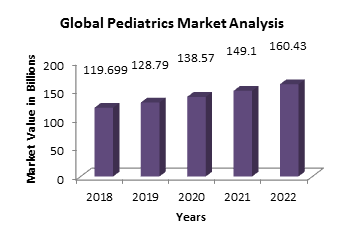 Global Pediatric Healthcare Market Research Report 2018 offers readers comparative assessment of key market players and strategic overview of global Pediatric Healthcare market. World Pediatrics 2019 conference will concentrate on how to promote excellence in pediatrics research and child health which offers an exceptional open door for specialists across the globe to meet, organize, and see new logical developments. The current year's World Pediatrics 2019 features the subject, "Pediatrics: Discovering the New Era in Pediatrics and Neonates" which mirrors the noteworthy advance in Pediatric Research. The two days meeting incorporates World Pediatrics 2019 workshops, symposiums and extraordinary keynote sessions directed by famous and prestigious speakers who exceed expectations in the field of World Pediatrics 2019. 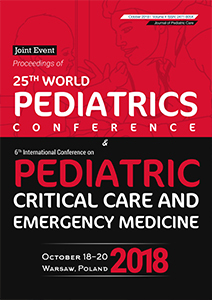 This worldwide World Pediatrics 2019 additionally supports the dynamic interest of youthful understudies, forthcoming analysts and growing researchers as we are facilitating World Pediatrics 2019 Poster Award Competition and Young research Forum at the gathering venue. 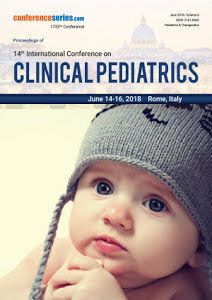 World Pediatrics 2019 is a global stage for exhibiting research about Pediatrics and related themes, trading thoughts regarding it and in this manner, contributes in dispersal of information in administration of the infection for the advantage of the general public.